Our guide will pick you up from the hotel in Marsa Alam then transfer to Hurghada airport to board the flight to Cairo. Meet in airport then drive to wander Giza Plateau where the the Pyramids of Cheops, Chephren and Mykerinus are located, continue to the city side of the plateau to visit the Great Sphinx and the Valley Temple attached to Chefren pyramid. Stop for lunch in good quality restaurant then continue to admire the Step Pyramids of king Zoser in Saqaara Necropolis, this pyramids is believed to be the oldest stone structure in history designed by Imhotep during the third dynasty. Evening transfer to your hotel in Cairo and overnight. Start the second day shortly after breakfast in hotel then relish a visit to the Egyptian Museum situated in Tahrir Square, it displays artifacts from several ancient Egyptian ages offering great collection of Egyptian artifacts including the exhibit devoted to Tutankhamen. 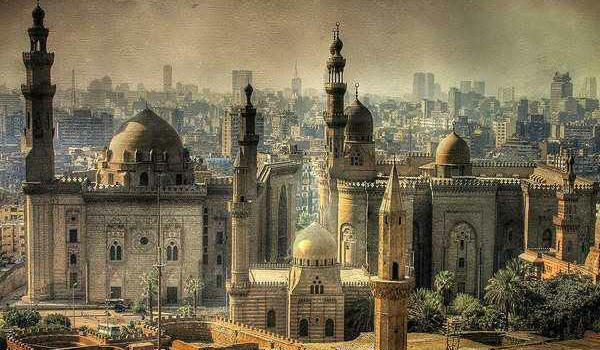 Proceed to the Old side of Cairo city visiting the citadel of Salah El Din and the Alabaster mosque of Mohamed Ali Pasha, the Albanian ruler of Egypt for 45 years. Finally stop to stroll the oldest local market in Egypt and Middle East, stroll the streets of the famous Bazaar of Khan El Khalili then transfer to airport, fly to Hurghada and drive back to your hotel in Marsa Alam.